You may have noticed a huge shift in recent years for businesses to move everything ‘on brand’ online. Signage for high street stores, showrooms, and businesses, however, is growing in both the corporate and property market. Here are our top 4 reasons why business signage is still important to your customers, and therefore should be to you. A shop or a business sign in its own right has to provide a lot of information in a very short time frame. It’s like treating business signage as your elevator pitch. If that pitch is positive, the customer moves to look for visual clues as to whether they like you, and finally if they can trust you and what you can do for them once they’ve stepped into your shop. If not, you may have lost the business to a rival. 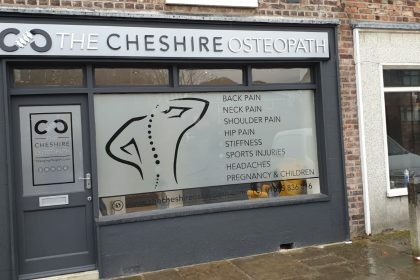 Effective business signage is your brand identity, your trustworthiness and your calling card all rolled into a visual expression, and it must be consistent, clear and to the point throughout. And when it is done right you business signage draws in the correct customers for your business and keeps them interested. Statistics show that effective business signage often relates to more customer spend, more awareness and more referrals. In research commissioned by FedX, it was found that 76% of people have entered a shop based on the shop signage, and 68% of polled said that they had bought products after seeing a business sign relating to that item or service. Consistent, clear and professional business signage will not only attract new customers, but it also makes financial and business sense. It can help differentiate you in terms of your competition.